Readers’ Favorite announces the review of the Children – Picture Book book “Bump the Monster” by T. D. Ashcraft, currently available at http://www.amazon.com/gp/product/0997042060. Bump the Monster is a delightful children’s book written by T. D. Ashcraft and beautifully illustrated by Daniel Roper. Bump is a blue and orange monster who lives under the bed in a secret place. At night, Bump comes out to play, sometimes bringing his friends along. While Bump’s friends tend to hide, due to their extreme shyness, Bump is always happy to make you smile. He is small, friendly, polite, and the best friend a child could have. I quite enjoyed reading this wonderful story, as it teaches children that those scary noises that they sometimes hear in the night are nothing like the frightening images which their imaginations conjure up. T. D. Ashcraft has cleverly shown that although a noise which occurs in the dark might seem scary to a child’s ears, those noises could be made by wonderful things, such as new friends from a different land. Using your imagination for positivity instead of conjuring up negative thoughts will not only help you to relax, but might also make you fall asleep with a smile, as you float into a beautiful new world made up of amazing and colorful creatures who want nothing more than to play and be your friend. 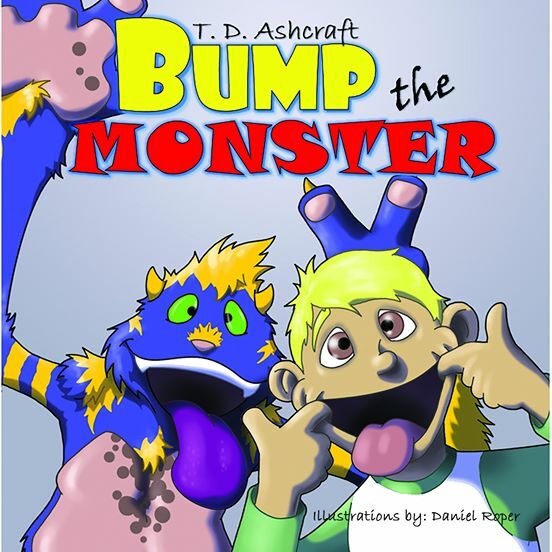 You can learn more about T. D. Ashcraft and “Bump the Monster” at https://readersfavorite.com/book-review/bump-the-monster where you can read reviews and the author’s biography, as well as connect with the author directly or through their website and social media pages.